“Do you understand what I have done for you? … You call me ‘Teacher’ and ‘Lord,’ and rightly so, for that is what I am. Now that I, your Lord and Teacher, have washed your feet, you also should wash one another’s feet. I have set you an example that you should do as I have done for you. I tell you the truth, no servant is greater than his master, nor is a messenger greater than the one who sent him. Now that you know these things, you will be blessed if you do them” (John 13:12-17). I’m one of those guys who loves war movies that portray themes of leadership training. I remember seeing the movie “The Patriot” when it came out ten years ago and thinking how clearly it portrayed three basic perspectives on missional leadership training. There are three scenes, which would explain possible methodology when it comes to gaining, training and retaining emerging missional leaders. 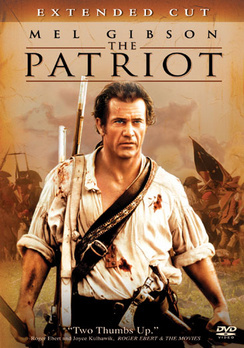 The first scene is where Mel Gibson’s character, Benjamin Martin, is on the porch of his house faced with the British attacking his land. Gibson assembles his sons quickly, gives them each a gun and instructs them how to shoot the enemy. The instructions are to aim steady and shoot steady and off they go into battle. This scene is likened to an a ministry that responds out of a tremendous need for leaders and pulls some leaders who might either be familiar with their ministry, or show some enthusiasm toward helping or know the Lord or have a pulse! Once quickly selected, they are often pointed toward the ministry target, shoved off the plank with some type of encouraging cliche like “go get em” and thus indoctrinated as missional leaders. The second scene unfolds as Gibson has enough time to assemble a rag-tag regimen of men in the community. He enlists the help of a former French soldier to spend brief moments instructing the men about the basic elements of war and the organization of a militia infantry. This scene is likened to the ministry that sees the need for a separate focus on ongoing leader training, but do not have the financial resources to hire such a person and so they make due with a formalized, but provincial “militia-like” missional leader training program. Often there may be a form of organization but no real strategy. The final scene – which assures victory, is at the end of the movie when Cornwallis surrenders at York town. This is when legions of French trained troops arrive by boat and are unified to fight the enemy. This scene is likened to an integrated and collaborative mission effort that provides a unified approach that takes time to raise up missional leadership with adequate size, strength and training that assures victory. Jesus took three years of gaining and training a small army, with most of his time intentionally spent on equipping a few to be launched. I continue to come back to Robert Coleman’s classic work Masterplan of Evangelism for the Biblical Model. Many of you may already be launched into a ministry situation feeling lonely, ill-equipped and overwhelmed. If that is you, I challenge you to seek out training opportunities, cohorts of other missional leaders and mentors. Don’t try and do ministry alone – it was not Jesus’ design. For those of you who find yourself in the middle of ministry training as a ministry major in college or a seminarian and have no active expression of ministry, I urge you to get off your aspiration and get into involvement — consider it like military drilling. For those who are followers of Jesus and are finding yourself on the sidelines, I challenge you to find your Kingdom Causal Expression and get into the game. Finally, for those who find themselves in ministry leadership, I challenge you to step back for just a minute and make sure that you not only have a succession management plan, but that you are taking the time to implement that plan in the next generation of missional leaders because until Jesus returns, the battle rages and we need “shiploads” of trained and engaged missional leaders.